It's not always easy being a princess, but it can be with the Philips Disney Princess Table Lamp.With a little bit of magic and the push of a button, you can transform your little princess room into a magical place far, far away. 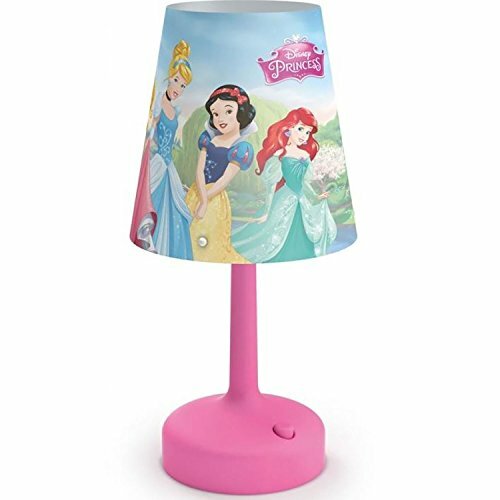 This lamp features your child's favorite Disney Princess including Belle, Aurora, Cinderella, Snow White, and Ariel. 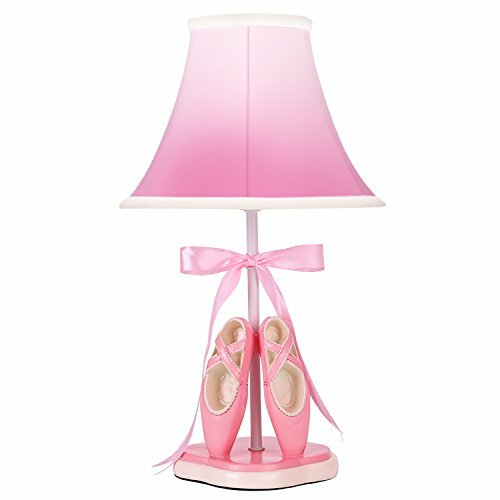 This lamp base features a pink base and a convenient push button easy for your child to reach and to turn the lamp on. 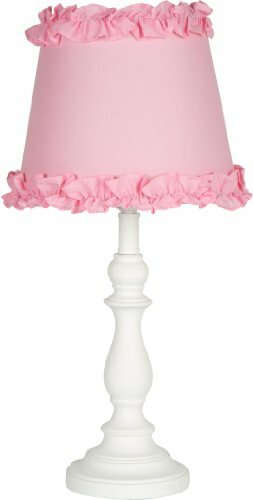 This table lamp will enhance your child's nursery or bedroom and bring their very own fairy tale to life. In addition, the table lamp has been crafted to compact dimensions in view of kid's safety and ease. 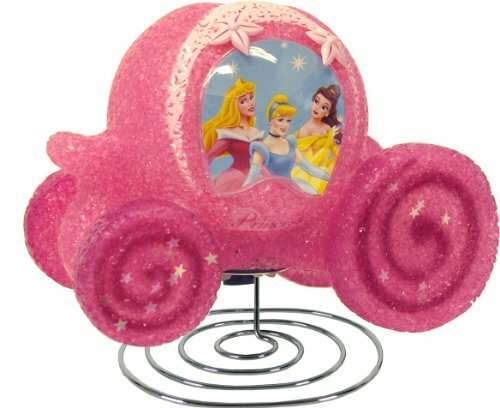 Add to the decor of your daughter's room with the Disney cylinder lamp! 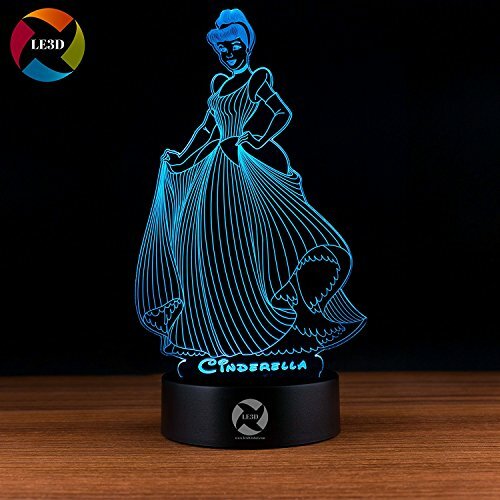 Featuring designs and graphics of your favorite Disney characters, the lamp emits a soft glow, so it can be used as a table lamp or bright night light. Strong plastic and metal frame is ideal for children as it is difficult to break. Bulb is not included. Do not exceed 40 Watts. Dimensions: 12" H x 5.5" L x 5.5" W.
Light up your princess' room with the Teamson Princess Frog Lamp. 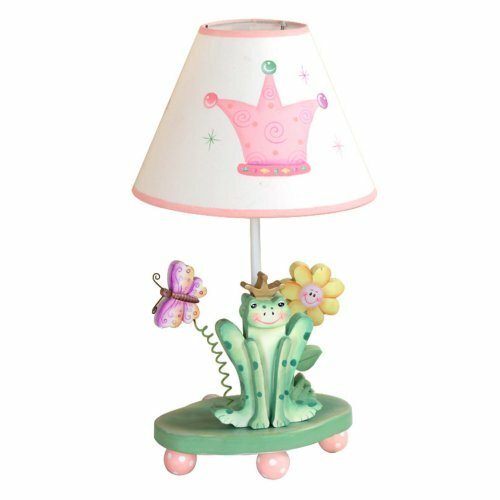 A collage of smiling flowers, frogs, and beautifully colored butterflies are hand carved into the base, while a pink crown and stars dress up the shade of the lamp. Creativity at its finest, enjoyable for all ages. 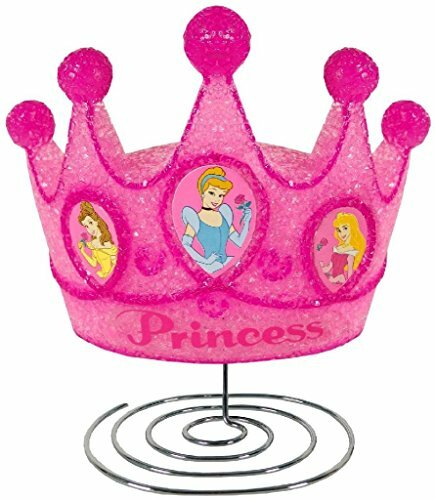 Disney Princess Eva LampBrighten up your little princesses room with the Disney Princess Crown EVA Lamp. 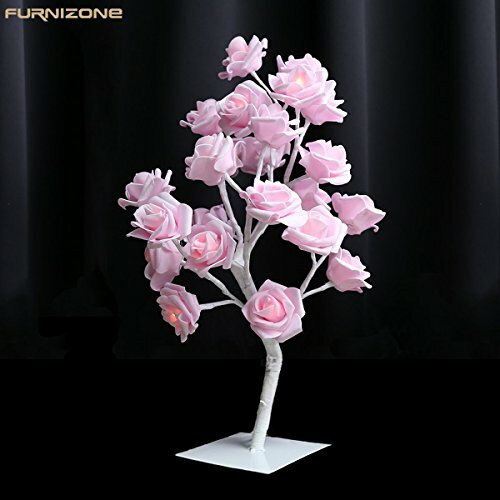 The pink night lamp is inspired by the Disney Princess theme and is shaped like a princess crown. 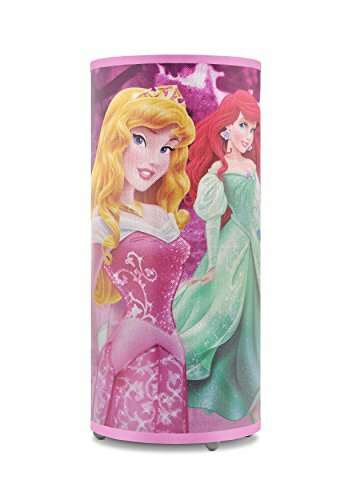 The Disney Princess night lamp features images of different Disney Princesses like Cinderella, Belle, and Aurora. This kids night lamp comes with a 7 watt candelabra base bulb that makes it perfect for your child's Disney themed room.